The TPP-2 Series products are 100% cut by Laser and more than 60% welded by robot. 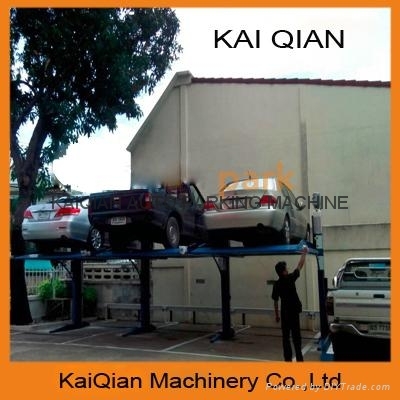 We are offering the safest parking machine in the market, the equipment is built under the CE standard and there are more than 10 safety features to ensure our clients will always get protection. Especially, there are a range of locking tabs on the posts to protect cars from accident damage. With professional design and friendly package, it becomes simple on installation. What’s more, detailed installation manual, drawing and video attached with products will help customers have easier installation work. get the product damage free , simple load & unload in time. Thanks to the hydraulic driving mode, our lift could have a faster lifting speed. Even though there is power failure, the upper car still can be retrieved by manually operating the solenoid valve. 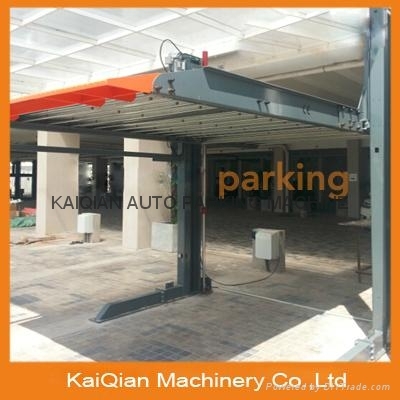 When the platform moves down, it will be driven by gravity, so there is no electricity consumption for hydraulic power pack .